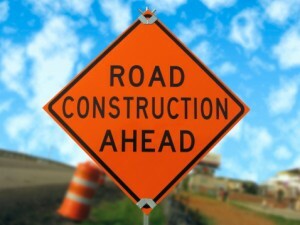 M-W: I-81 South between Exit 155 (Dorrance) and Exit 145 (West Hazleton) will be single lane for concrete Patching from Monday (8/19) to Wednesday (8/21), 7 a.m. to 3 p.m.
M-Th: I-81 in both directions between Exit 188 (Dunmore/Throop) and Exit 194 (Clarks Summit) will be single lane for temporary paving at approach from Monday (8/19) to Thursday (8/22), 6 p.m. to 6 a.m.
Tues-W: The I-81 entrance ramp at Exit 191 (Dickson City) from Business Route 6 to I-81 North will be closed for Rock removal from Tuesday (8/20) to Wednesday (8/21), 6:30 a.m. to 4 p.m.
W-Th: I-81 over SR 374 in Lenox will have a crane inspection operation from Wednesday (8/21) to Thursday (8/22). There may be traffic delays and lane closures. *I-81 North in New York from I-81/I-481 interchange to Syracuse will be closed for bridge replacement from Friday, August 9 at 6 p.m. to Monday, August 19. For more information visit www.511NY.org or call New York Department of Transportation at (315) 428-4351.